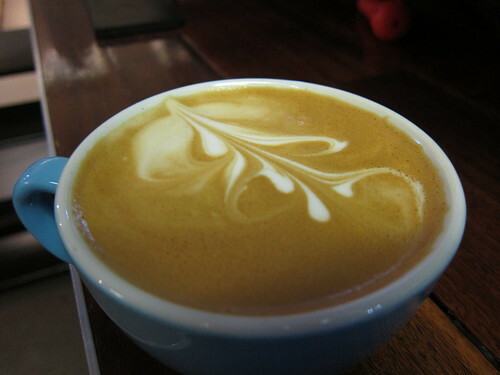 a rather unusual chinaman: Prufrock, a morning making coffee look good. Prufrock, a morning making coffee look good. Every so often, something drops into my inbox and my heart starts racing. 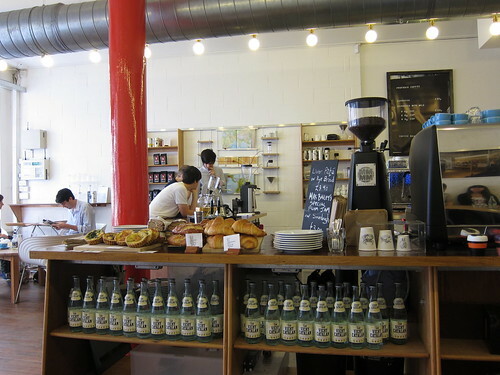 I love coffee, and in London, Prufrock is integral to London's coffee culture, so when I opened an invite to come along to one of their training courses held at their HQ in Leather Lane, I couldn't turn it down. I've been a fan of Prufrock and the Square Mile beans they use from the first moment I took a sip from Pitch 42 at Whitecross Market. If I am ever in Shoreditch, I make a beeline straight for present where Prufrock has been hiding out, and now, they have their own much larger space, to educate and train those who are interested in coffee. Owing to scheduling, I signed myself up for a latte art course (although there are classes for espresso, brew methods and tasting as well). Run by Kirby Berlin, an ex Australian latte art champion, we were in excellent hands and strapped in for a hands-on group training session with 3 others in the basement. 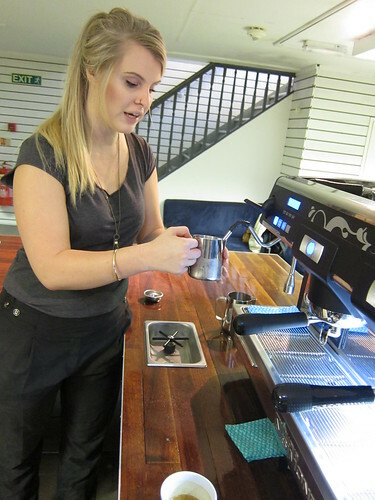 Before we started, we were shown the ropes of the machine and how to pull a good espresso shot. First, weighing out the perfect amount of ground beans, ensuring the grind isn't too coarse (the water just runs straight through) or too fine (where the water struggles to get through at all). Once the grind is right, you need to use the tamper to ensure the beans are compressed and then run the espresso, just the right amount of time. All that just to pull the perfect shot. Getting the milk just right is the next challenge. Ensuring the angle of the nozzle is right, making sure it isn't in too low or the milk won't be sufficiently aerated, or too high up so the milk froths heavily, forming lumps of foam. Getting the temperature of the milk right and the consistency of the foam to just the right thickness was a lot harder than it looks, and it was only the second half of the morning where this started to tick. Once we had got to the stage where we could actually pull a decent coffee, we were then taught on the intricacies of making it look good. First we learnt the most basic heart shape, then moving on to the harder rosetta and tulips shapes. Drawing shapes in coffee is hard. Really hard. I will be the first person to admit that I wasn't the best in class, but I did have a lot of fun. Once we were shown etching (using a toothpick to draw patterns in the foam), I even managed to make my mistakes look good!. 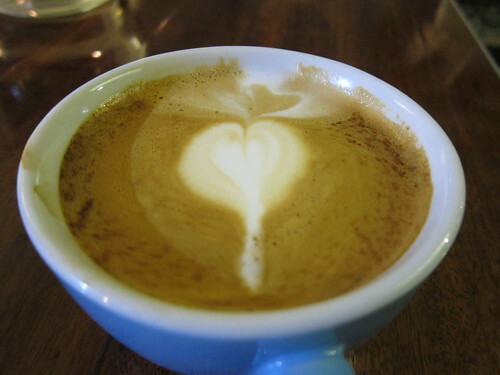 I would definitely recommend the latte art course to anyone who loves coffee. 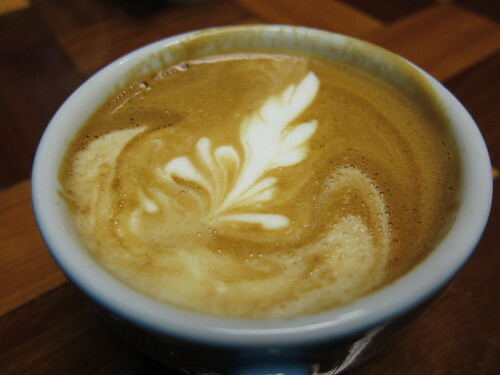 For £65, you get to learn how to make an excellent coffee, drink as much of this excellent coffee as you fancy and to round it all off, you can muck about and make it look good too. I thoroughly enjoyed my morning, and if you practice hard enough, you may just be able to draw a swan like Kirby. 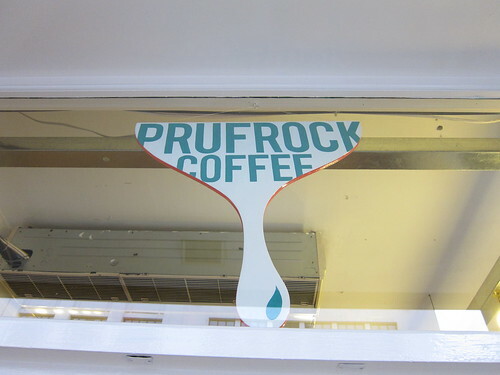 I was a guest of Prufrock. It normally costs £65 for a Saturday group session and the schedule is up on the site under Coffee BRAT.